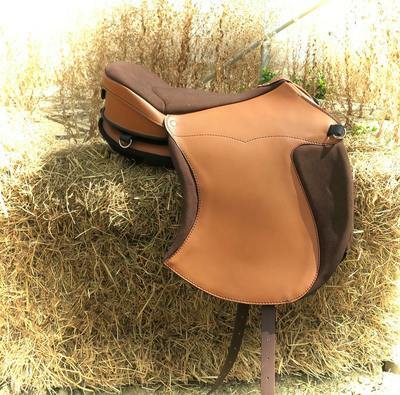 ​Ghost Treeless Saddles from Italy. 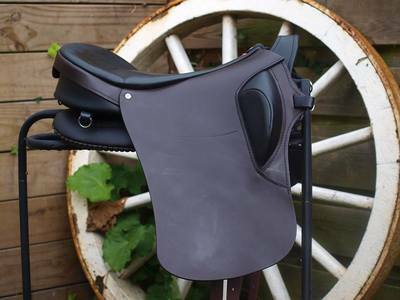 Featuring a lovely choice of leathers with a well thought-out design, Ghost is a treeless saddle that is highly adjustable. Ghost features a carbon-fiber base which stirrups and girthing are hung from for great weight distribution, with pressure distributing panels that velcro onto the bottom for custom spinal clearance. 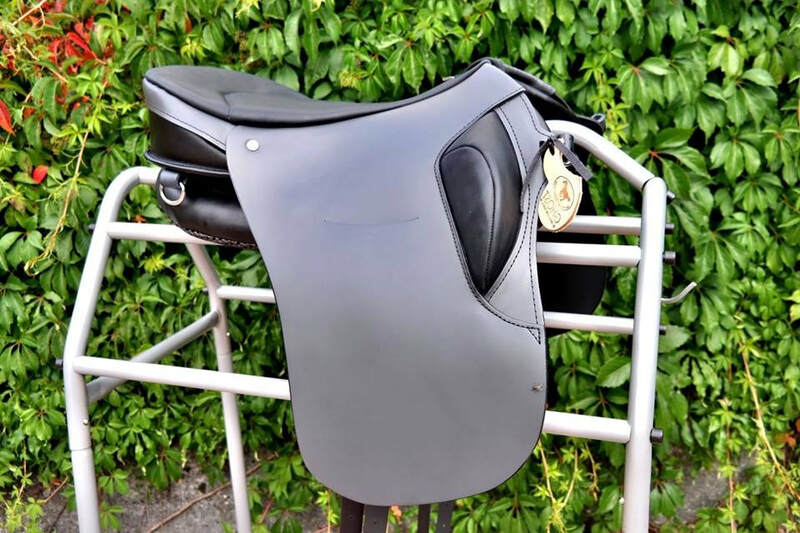 The seat is cushioned and has the option of knee blocks for a secure seat, and puts the rider in a good, aligned position, while featuring a very nice twist. 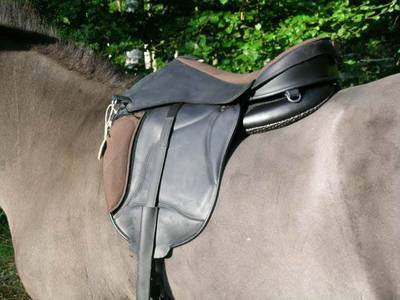 The billets can be adjusted forward or behind depending on where your horse's girth groove is and there are two stirrup positions. 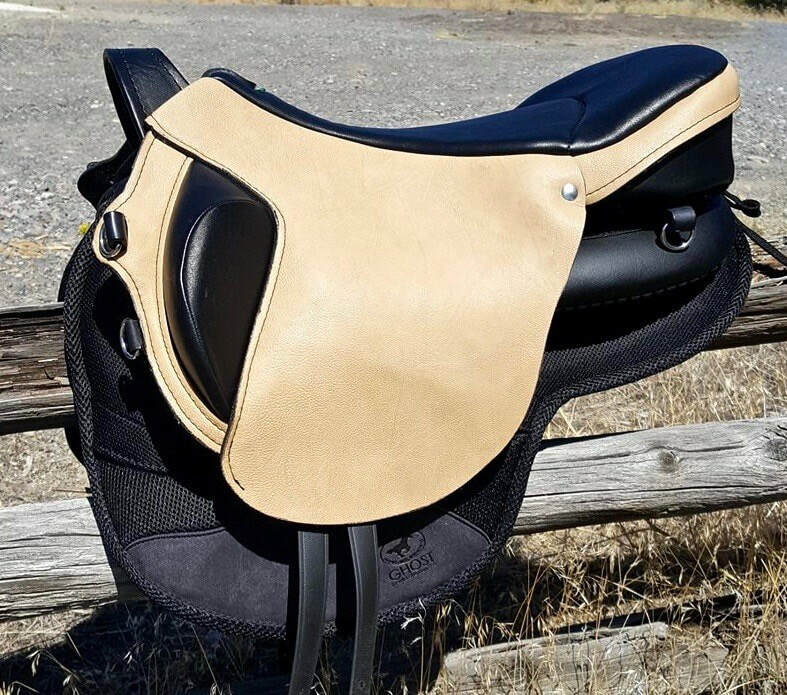 With great wither and spinal clearance, the Ghost saddle is also very lightweight and an excellent and well made saddle for the price! The New Classics Ghost range feature positionable knee blocks, secured under a stylish double flap. 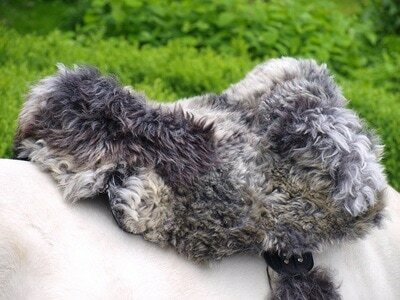 Choose from angled, straight or flat blocks which velcro on or off. Classics come with the hidden pommel style. All prices are in New Zealand Dollars and include import fees & shipping into NZ, as well as international fund transfers. 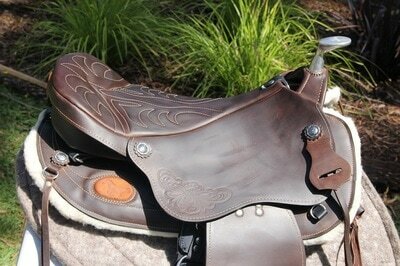 Saddles are custom ordered in with a wait time of around 5 - 8 weeks. 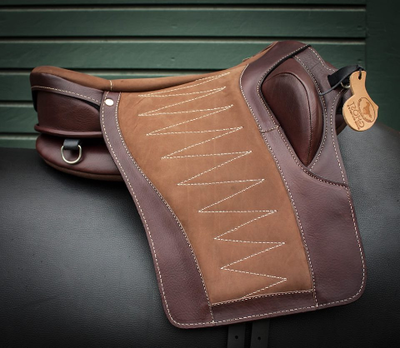 The latest addition to the GHOST range are the beautiful 'Classic' Ghost saddles. 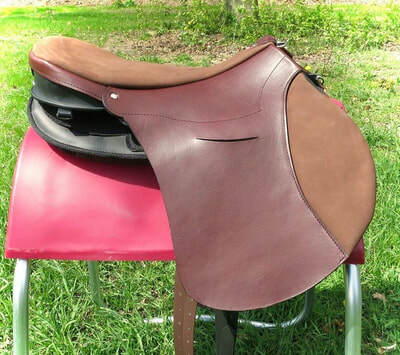 The Italy is our GP or Jumping Saddle, the Lipica for Dressage, and the Flamenco has a Spanish flair! 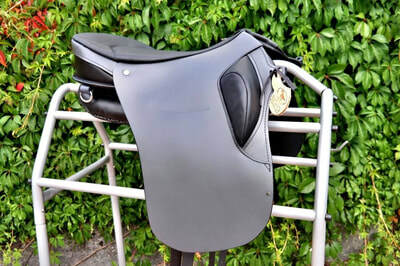 ​They all have a hidden pommel, and a double flap under which houses positionable knee blocks. 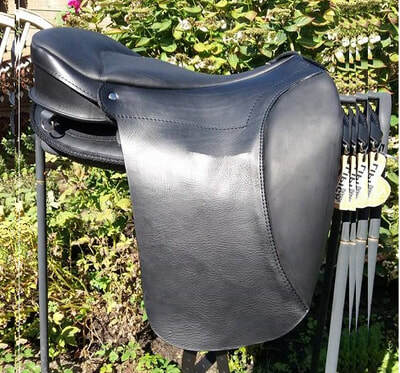 CAVALLIN Treeless Saddles, designers and manufacturers of the innovative Ghost treeless saddle, are proud to introduce the first treeless saddle in this new range, the Crusader. 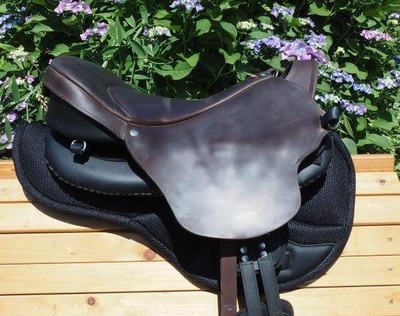 The design and features of the Crusader will delight lovers of treeless saddles. 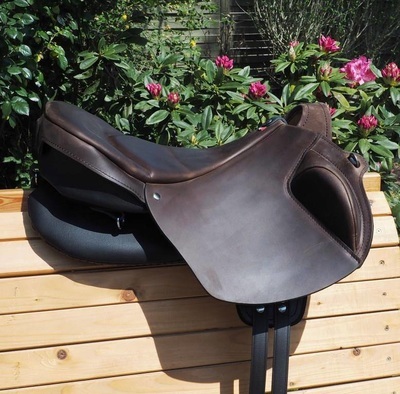 It will inspire riders looking for solutions to fitting and comfort problems often found with treed saddles. 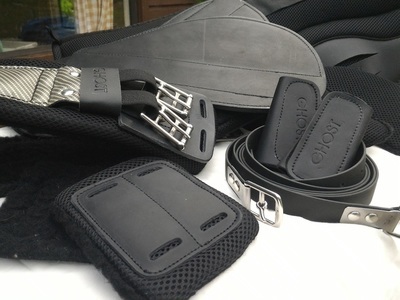 The adjustable stirrup straps attach to a velcro pad that can be moved backwards or forwards under the saddle seat in order for the rider to find the most comfortable position for their riding style. 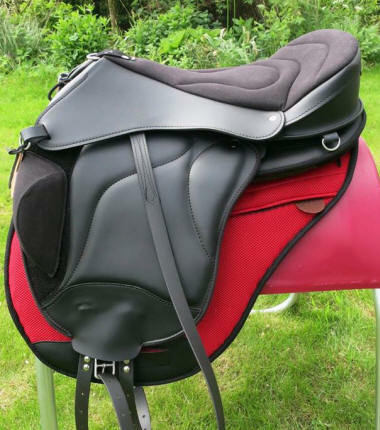 The comfort of the horse is paramount and to this end, both saddles have thick adjustable panels to lift the saddle off the spine and provide wither clearance. 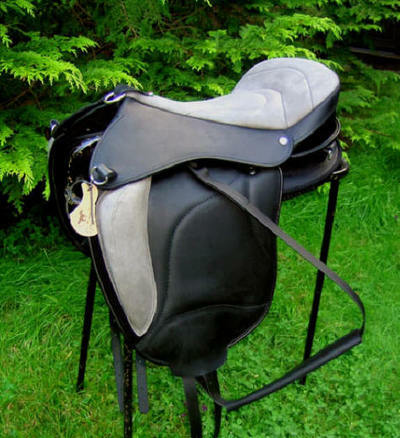 In order to further protect the horse's back during heavier stirrup use or riding in a two point seat, the stirrup straps have the option of being attached to buckles at the bottom of the saddle flaps, thereby spreading the load between two areas. Click photos below for more information.